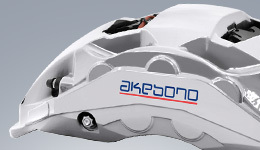 ﻿ Aftermarket｜Products and Technologies | Akebono Brake Industry Co., Ltd.
We provide a wide range of aftermarket products to customers around the world. These products employ the quality and technological know-how developed through our business of supplying OEM products for an extensive variety of vehicles made by major global automotive manufacturers. 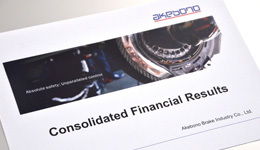 By leveraging Akebono’s global network that covers the world's major automotive markets, we strive to deliver products that are needed, when they're needed and, in the amount, needed. Akebono Group started developing its global business in the 1960's, mainly with the United States, and since then has expanded its operations to Europe, ASEAN countries, and China. Akebono's global aftermarket parts business began with the establishment of the United States subsidiary in 1980, and just like with our OEM parts for new vehicles, it has continued to expand worldwide. 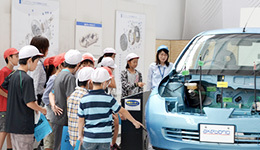 While automotive usage environments as well as customer needs vary in different parts of the world, Akebono Group researches the requirements of our customers from a global perspective and aims to consistently offer and deliver products of value. The global head office and each of the global affiliates work together every day to enhance customer satisfaction worldwide. We are committed to offering and delivering products leveraging our global network. "Shosei-kai" (Akebono Automotive Maintenance Research Society) is a group comprised of maintenance factories and Akebono, which devotes itself to studies of brake maintenance technologies to deliver safety to car owners everywhere. It was established in 1974. Comprised of seven blocks nationwide, the regional study groups of each block hold regular meetings to discuss enhancement of maintenance technologies, as well as to exchange information with Akebono, or between the members themselves. 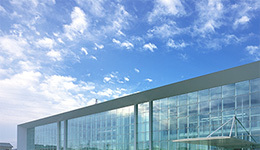 "ai-network" is the name of an organization comprising Akebono and members of leading Japanese part dealers. 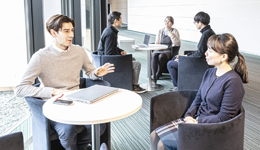 The objective is to capture the needs of our end-users through face-to-face discussions in order to provide products and information which bring satisfaction of our customer. The organization has eight branches nationwide. It is a platform to pursue a business model that can cope with the changing market trends through information sharing and enhancement of mutual understanding.